I invested a bit of thought for the title of this particular blog. It is my intent is to both entertain and educate. With clowns to the left of me, research to the right, on average, I trust I can reach my goal. Normally I spend about two or three hours on any blog. While some flow naturally in under an hour – some take time. Depending on my schedule, some take a day or two. While I’m pretty wordy, this one will be short – at least for me. The tobacco industry is on the receiving end of a massive hit in the value of shares as stock market values continue to decline as smokers switch to vaping. The bad news rolls over from last year despite various companies attempting to get a strong foothold in the vape market. One of the frequent accusations levelled at vaping is that it is a Trojan horse to maintain a lifelong addiction to nicotine. Doubters frequently overlook the fact that Big Tobacco does not command dominance in this new marketplace. The UK Vaping Industry Association (UKVIA) is expanding as new members sign up to make it an even more powerful voice in the corridors of power. 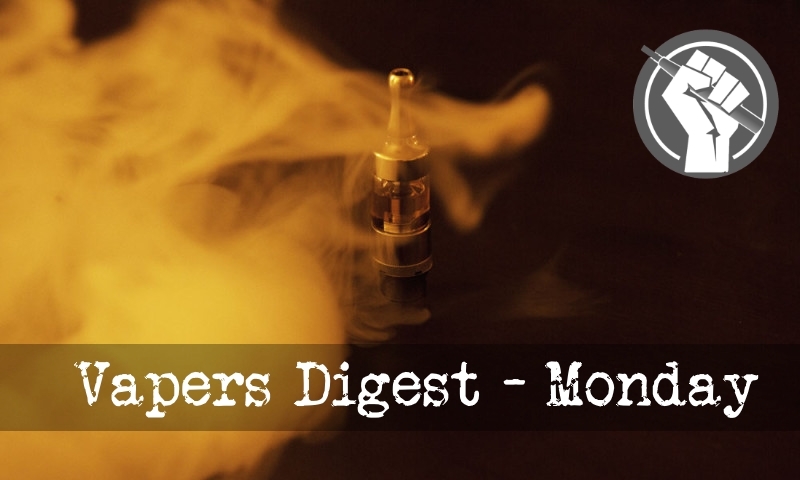 The five new members come from around the globe but share an interest in supporting the organisation’s work to make U.K. vape legislation better. ‘if teens don’t stop using products that likely won’t harm them then adults will only have access to products that will likely kill them’. To understand the population impact of e-cigarettes, it is important to examine the profile of e-cigarette users. The purpose was to examine the characteristics, patterns of e-cigarette use and smoking status of a random sample of vapeshops customers in Greece. Fourteen vapeshops were randomly selected in the region of Athens. Every third customer buying products for personal use was recruited by a researcher visiting the vapeshops. Current smoking status was assessed by measuring exhaled carbon monoxide (eCO), with a value ≥ 7 ppm being used to classify subjects as current smokers. Inhalation of the toxic smoke produced by combusting tobacco products, primarily cigarettes, is the overwhelming cause of tobacco-related disease and death in the United States and globally. A diverse class of alternative nicotine delivery systems (ANDS) has recently been developed that do not combust tobacco and are substantially less harmful than cigarettes. ANDS have the potential to disrupt the 120-year dominance of the cigarette and challenge the field on how the tobacco pandemic could be reversed if nicotine is decoupled from lethal inhaled smoke. For most people reading this blog, this won’t be a surprise. You’ll have heard about Public Health England’s review of the evidence, you’ll have seen the Royal College of Physician’s report and you might have read some other academic reviews of the evidence and noticed that the conclusion is always the same. There is no legitimate debate about whether vaping is safer than smoking anymore; it just is. An Australian study published today highlights the importance of regulating vaping e-liquids in Australia. The study in the Medical Journal of Australia analysed ten ‘nicotine-free’ e-liquids and found six to be contaminated with trace amounts of nicotine. The nicotine levels averaged <0.1% across the ten samples, with the highest being 0.29% nicotine. The Surgeon General wasn’t an outlier. He was repeating the talking points of FDA Commissioner Scott Gottlieb, who previously declared an epidemic of youth vaping and even threatened to pull e-cigarettes off the market entirely if teen vaping doesn’t abate. A six-hour standoff ended peacefully Saturday afternoon after a suspect who asked police for cigarettes accepted a vape pen instead, police said. Juan Roman, 40, of Novato, surrendered about 1:30 p.m. and was arrested on suspicion of attempted arson and vandalism, according to Novato police. ALBUQUERQUE, N.M. – 2019 could bring a new tax hike for New Mexico smokers. State lawmakers are looking to push bills through the Senate that involve raising the taxes on cigarettes. Sen. Clemente Sanchez (D) District 30, is pushing a bill (SB-166) that would increase the tax on cigarettes and vape juice for e-cigarettes. “It’s basically increasing the tax on a box of cigarettes from $1.66 to $2.00,” Sen. Sanchez said. If you think you’d seen it all when it comes to tobacco control junk science, wait till you get a load of this story of everyday charlatans visiting a vaping convention, published last month. Yes, this was actually published. Academics at The University of Pittsburgh Schools of the Health Sciences make a bold claim in their latest research looking for a progression link from vaping to smoking tobacco. The paper has been slammed for its misleading and erroneous conclusion.